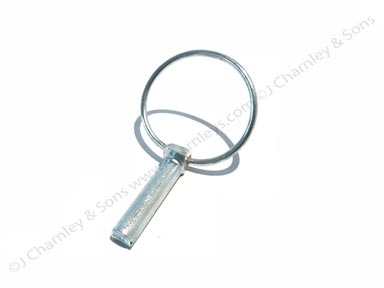 NT7453 / HTJ47 Linchpin (or Lynchpin) for three point hitch or linkage on all tractors. Heavy duty type, 13/4" inch "Snap shut Pin" with a 2" inch diameter ring and 7/16" diameter pin. 1/4" inch and 5/16" inch diameter pins are also available. See item number 11 in the diagram.